Note: With the publication of Six Dots just a month away, I’m receiving some interesting questions from book people across the country! In the next several posts, I’ll choose one of these questions and share my answer here on Insights. Q: Why did you choose Helen Keller’s quote for your book? 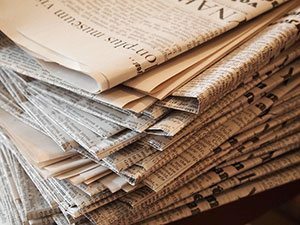 In other words, for the sighted community at least, Gutenberg’s printing press (not gunpowder, the light bulb, or the combustible engine) was the single most important invention of the millennium, because it allowed for the sharing and spreading of knowledge. 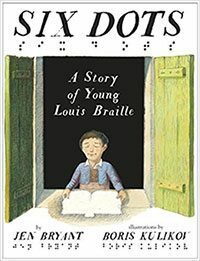 But the visually impaired were still cut off from this knowledge, until a blind teenager named Louis Braille took a complicated battlefield code and spent 3 years—alone and with no financial or emotional support—creating a sleek, refined, six-dot code for the blind that was read by touch. And that’s why I felt it was important to include Helen Keller’s quote as the opening for the back matter of Six Dots: “We, the blind, are as indebted to Louis Braille as mankind is to Gutenberg.” Today, we are surrounded by words and printed (or digital) messages. It only takes a minute for a sighted reader to close his/ her eyes and imagine what it would be like to be shut off from all of that. 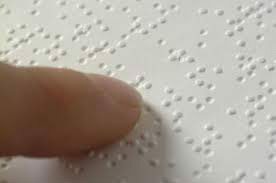 But because of Braille’s code, there is a pathway to the same knowledge and information that sighted people access through print.